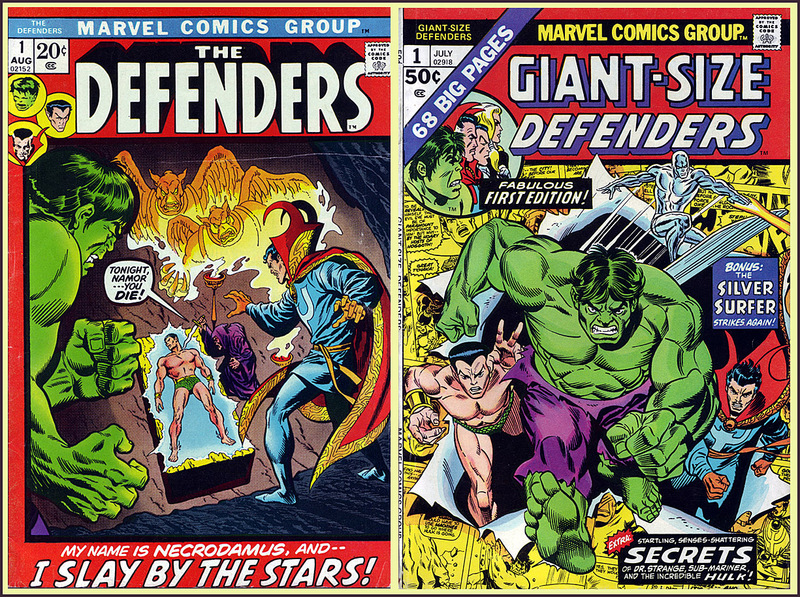 The Defenders were always Marvel’s odd-ball team – if you can call them a true team at all. In fact they were referred to as the “NON-Team” -ONLY called together when something really big/bad threatened the earth. The original core members were Dr. Strange (more or less the leader of the group), the Hulk and Namor the Sub-Mariner. A little later Norse beauty the Valkyrie joined as well as Nighthawk. Over the years many different super-heroes quit and joined some officially and many non officially, a partial list would include Power Man (Luke Cage), Hell-Cat, Tigra, Silver Surfer, Son of Satan, Gargoyle, Moondragon & Daredevil. 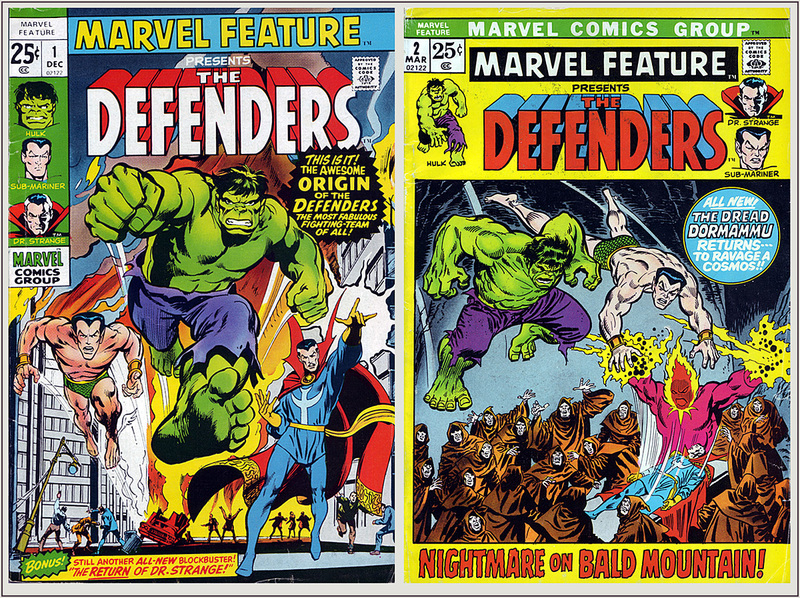 In contrast to the more main-stream Avengers book many of the Defenders story-lines involved the supernatural and various demonic beings. Several of the early issues tackled racism and actually had the team fighting white supremacists (ya gotta love Steve Gerber)! Clea and Valkyrie never looked more voluptuous! Well…thanks to the recent movie successes Marvel is finally getting the attention of the mainstream pop-culture that DC has long enjoyed. Hopefully Avengers will be as awesome as it’s looking from the trailers. With Joss Whedon directing it SHOULD BE.